Ross Hinter Coordinates the Public and Trapper Education Program for the Alberta Trappers Association. 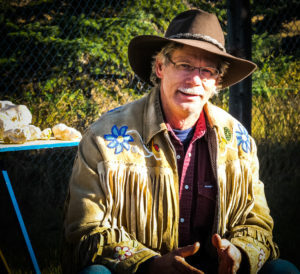 He has been teaching as a trapping instructor for 25 years and has traveled throughout Alberta and B.C. dealing with human and wildlife conflicts. As a wildlife control expert, he continues to work with Government and Industry on behalf of Alberta trappers. His involvement with Environmental Groups, Wildlife Biologists, the University of Alberta, Environmental Sciences and others, have all contributed to his reputation as an ambassador for the sustainable use of wildlife resources. Ross is passionate about examining the predator-prey relationships and dispelling the myths of trapping and wildlife habitat that is so vital to real conservation. Together with his wife Deborah, they operate, North Trapping and Bushcraft, teaching trapping and other bush craft living workshops.